Kal Barteski is a multimedia artist, activist, and author passionate about polar bears, positive words, sea ice and environmental health. 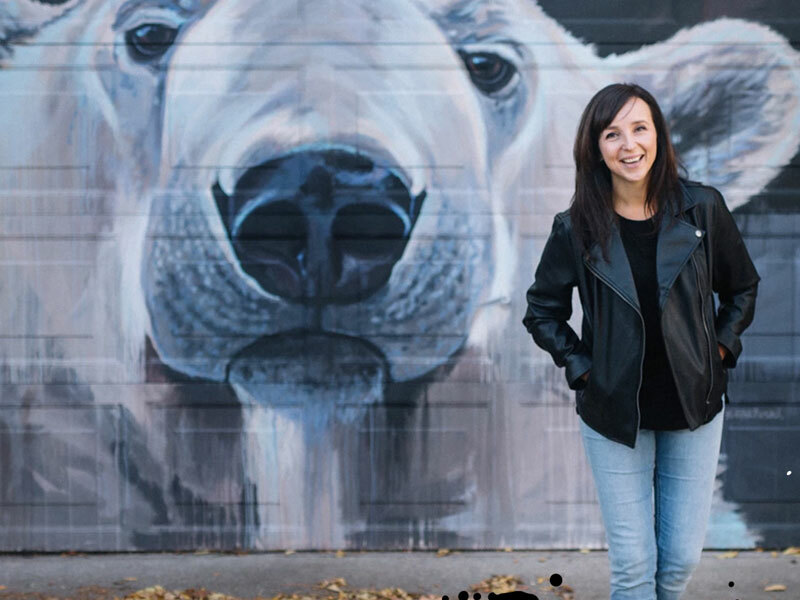 You can spot her signature script around Winnipeg in homes and public spaces, and a collection of her murals make up Back Alley Arctic in Winnipeg’s Wolseley neighbourhood. Kal also coordinated the international mural festival: SeaWalls Churchill, and created the Polar Bear Fund to support innovative polar bear conservation.